I could not agree more. I heard the same thing again and again — even from some longtime instructors who said they felt this was absolutely the best Photoshop World ever! Above: Moose Peterson’s aviation photography workshop with World War II-themed models posing with classic Warbirds in a hangar on location. Above: The classic WW2 Poster pose, as the workshop participants photograph the planes and people. Above: Moose coaching his class on how to get the shot. Above: Shooting on location – the whole class gets involved at Erik Valind’s workshop. Above: Using reflectors during the workshop. Above: Is it just me, or is that one huge umbrella? Above: Kaylee Greer getting the doggies ready for their close up during the workshop. Above: Lots of wonderful dogs for the students to shoot at Kaylee’s workshop on location. Above: Tim Wallace had two cars in the classroom for his workshop on how to light car interiors and exteriors. Above: Glyn Dewis talking about lighting and what to look for when they start shooting. Above: The temps were great outdoors (unseasonably mild), but the sun still makes it tough to see the screen on the back of your camera. Above: Frank Doorhof and his location workshop class totally rocking it, with their stylist and model Nadine. Above: We even snuck in an episode of ‘The Grid’ live on location. That’s Photoshop World instructor Victoria Pavlov on the set as my guest. She was so much fun (and such an incredible talent). Above: After the workshops, we head for ‘The Meetup’ at the Rocks lounge in the Hyatt Regency, our host hotel for the event (it’s connected directly to the convention center — a perfect location!). Above: The instructors and staff are there to meet everybody just as the party starts up. Above: The crowd is ready to rock! Above: Inside, they’re hyped for the opening keynote to begin. Above: The next morning, we kick things off with the opening keynote, and I come out after our “Photoshop COPS” spoof video (it’s a tradition to kick off Photoshop World with a parody video). Above: WIelcoming the standing-room-only crowd at the Orange County Convention Center in Orlando. Above: The star of the opening keynote is Adobe’s own Julieanne Kost. Above: All eyes on Julieanne! Above: Julieanne did an awesome presentation – she showed so many cool features, techniques, and different programs and apps, but it was her Mobile apps presentation that really wow’d the crowd. Above: After Adobe’s presentation, we honored Photoshop World instructor and master photographer Jim DiVitale with his posthumous Photoshop Hall of Fame award. There wasn’t a dry eye in the house after the wonderful tribute video to Jim and his career (put together by Jim’s dear friend Steve), his wife Helene took the stage to accept the award on Jim’s behalf, and she was met with a tremendously long standing ovation, as Larry Becker presented her with Jim’s award. It was a very special moment for all of us. Above: The always awesome (and witty) Larry Becker wrapped up the keynote, and then it was off to class for everybody. Above: Joe McNally just killed it in his “Town Hall” session where participants could have Joe critique their images. Above: Moose comes out front during one of his many sessions. He crushed it (as always!). Above: Adobe’s Bryan O’Neal Hughes sharing some Adobe Mobile awesomeness. Above: Everybody loves “The Justins!” Two of the most talented wedding photographers and fast rising stars in the industry, sharing their secrets with the crowd. Above: KelbyOne member favorite and hero to photographers everywhere, the awesome Stella Kramer teaching for her first time at Photoshop World. Above: Hanging out in the Partner Pavilion, chatting with the vendors and checking out their latest goodies. Above: Photographer Levi Sim showing off Athentech’s new Perfectly Clear 3 plug-in. Above: Oh Yeah — that’s Gabe Biderman, and yes, B&H Photo (the greatest camera store in the world) was there in a big way! Above: Robert Vanelli doing his thing in one of the Pavilion’s theaters. Above: Photoshop World instructor Rob Sylvan teaching in the Peachpit Press theater. Above: We had six ‘Shooting bays” set up in the Partner Pavilion, where attendees can simply walk up and start shooting. Above: These shooting bays, most with live models (which are much better than the ones with dead models), are lit with continuous light (Westcott Spyder Lights) so everybody can shoot at the same time. Above: James Bond with his white tux, red carnation, and a sleek Bond-like fake pistol with silencer. Above: Besides the six indoor studio-lit shooting bays, we had an entire section of Natural Light shoots as well, making the most of that beautiful Florida sunshine! Above: Later that night it’s party time again — this time at B.B. King’s Bar and Grill. Above: The awesome house band let me get up and play a few songs with them. I played one on drums, one on keyboards, and one on guitar. Note the awesome Fender Strat my wifey got me for our 27th Anniversary last year. Had to take it with me to Orlando! Above: Can you feel the soul? It’s not as impressive as it looks – I’m just singing backup. Above: Nothing like playing to the home crowd! The band was just so good (with a horn section and the whole nine yards), they were really just such good players – it was a treat to get to jam with these guys and gals. Above: Did I mention Midnight Madness? It’s a tradition — for ‘Photoshop Geeks who just can’t sleep,’ we stay up really late one night, playing games and doing really silly stuff. Above: The doors swing open, our DJ cranks the music, and the late night fun begins! Above: Getting hyped for the madness! Above: Your Midnight Madness hosts (from L to R): Matt Kloskowski, Yours Truly, and Terry White. Above: Joe Glyda giving a one-one-one portfolio review. These are a huge hit with our participants. Above: The one and only Dave Black during a one-on-one portfolio review. Above: We did a special after-hours event called “An Evening with Stacy Pearsall” that was absolutely just spectacular! Her stories and images from her time as a military combat photographer are just incredible! Her class last year in Las Vegas was such a huge hit, we knew it needed more time and a chance for more people to hear her message. Above: Stacy absolutely captivated the audience. Her Veterans Portrait Project is really something special. If you get a moment, it’s so worth giving it a look – here’s the link. Above: At the end, the crowd was on their feet cheering Stacy. It’s a night they’ll never forget. Above: Before you know it, we’re back on the big stage for the Guru Awards ceremony (a competition just for people who attend Photoshop World),. Here’s the talented Mark Rodriguez receiving his Guru Award from Larry Becker. Above: So many people’s careers have been launched after winning a Guru Award. Very happy for all the winners. …it was so much fun, and great to see so many familiar faces. It’s always a treat seeing old friends, and it was really fun to make some new ones as well. Previous PostMore from Photoshop World Day 1! Next PostIt’s “Photoshop COPS” – The New Reality TV Show? Any new features for Photoshop CC announced at Photoshop World? An incredible ‘week’ – so much great information, new and old friends, new opportunities and a great way to re-motivate, refocus and I have come home from this raring to go!! Scott, I want to thank you for an unbelievable time at this year’s Photoshop World. You folks lined up a great group of instructors teaching a LOT of new things. One thing that always impresses me is that the classes are never stale, where it’s the same thing being taught year after year. That never happens at PSW. My best memories are from the impromptu chats with Matt Kloskowski, Kaylee Greer, Glyn Dewis, and Dave Clayton. Truly wonderful people and top-notch instructors. Where is it going to be next year? I had a blast! I went back and forth on it so many times, and it turns out I had no reason to do that. I loved the classes, and the ability to interact with the instructors, and overall it was the best 4 days I’ve had in years! I had so much fun, and I learned so many new things too, got my cameras cleaned thanks to CPS being there, even got one of my favorite images printed by Canon, met up with friends from The Grid, saw and briefly talked to Joe McNally again which is always a treat and a half, been part of an Adobe focus group which was freaking amazing, what can I say, it was AWESOME! Thank you for bringing this back to Orlando, and doing such a wonderful job with this conference. It was so nice to finally meet Kalebra too! She’s so wonderful, I love her so much! And Stella Kramer finally came! I mean, that was like the cherry on top! I really hope it returns next year, but even if it doesn’t, I’ll rent an Airstream if I have to and drive to Vegas. Maybe convince Mark, Gilmar, Cathy and Fran to join me for a PSW road trip! Wouldn’t that be something? Great job, and Congratulations again on selling 5 million copies of your books too! This was just an incredible week. I guess I was at a different conference because this was not my experience at all. This was my first Photoshop World and I hope it’s not my last. What really stuck out to me was how much the instructors loved to teach. Every class I went to from Joel Grimes to Lindsay Adler to Dave Cross, each instructor’s personality shone through. A lot of engagement, a lot of laughs. 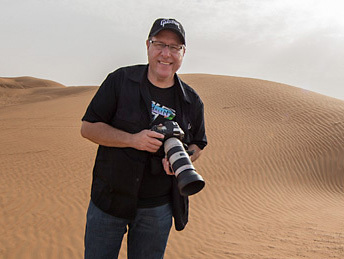 Thank you Scott, Kalebra, the KelbyOne team, all of the instructors and volunteers for 4 action-packed days! It was great to learn from all of the instructors! Kaylee Greer, Joel Grimes, Tim Wallace, Glyn Dewis loved their sessions and how they kept us engaged. Not to mention Stacy Pearsall’s presentation was unbelievable! It was my first time attending PSW and hoping to come back next year! HUGE thanks to you Scott, and the team for putting on a great show!